Part three of my quote series. I found those quote quite fitting as I just read this article explaining that Wikipedia is just as accurate as Encyclopedia Britannica. 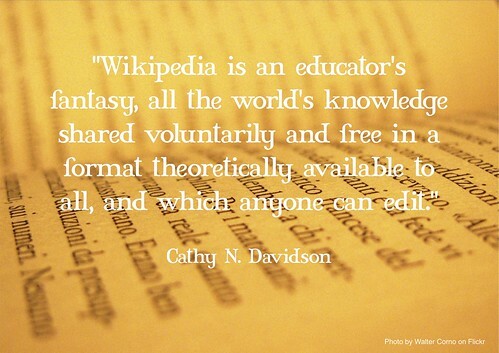 I really don’t know why teachers have such a negative image of Wikipedia, it’s has to be the least bias and most up to date source of information in existence as people from countries, religions and all walks of life edit and modify it.